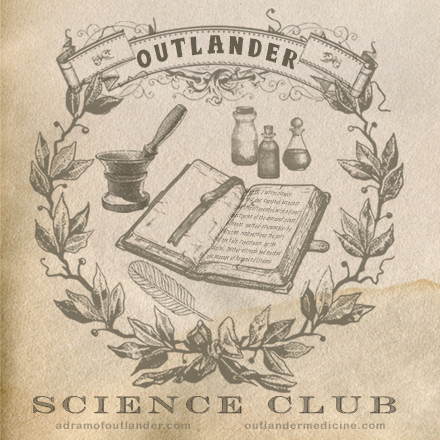 Listen to this week’s Voyager Read-Along with A Dram of Outlander here, including this week’s installment of Outlander Science Club (by yours truly)! The Outlander Science Club topic for this week was inspired by Jamie’s time in the cave and the psychological and physical effects that may result. Following the Battle of Culloden, Jamie’s life is spared thanks to Lord John Grey and his bother Hal. He is brought back to Lallybroch where he is nursed back to health by Jenny, and spends the next seven years of his life living in a cave where he cannot be found by the Red Coats. Hunting at night to feed himself and to occasionally provide for the family, Jamie spends his days alone in the cave with only some books and his thoughts. Only once a month, at night, does he creep down to Lallybroch to shave, share a meal, and spend time with Jenny, Ian and the children. Certainly, this will impact his health, spending his life in darkness and isolated for the most part from any human interaction. What are the likely effects? In addition to the uncomfortable conditions he endures with the incessant exposure to the elements and fear of discovery by the Red Coats who would no doubt mean violent punishment for both himself and his family who harbored him, Jamie also faces the effects of darkness and isolation on his health. Prolonged exposure to darkness results in depression. Studies in rats have shown that after only six weeks of limited sunlight exposure, the neurons in the brain responsible for producing norepinephrine, dopamine and serotonin already are in the process of dying. These substances are the same neurotransmitters that are found to be decreased in humans with depression. Chronic isolation from the company of other people can lead to a number of negative health effects. Chronically lonely people have elevated blood pressure. They are more vulnerable to infection and have higher incidence of dementia and Alzheimer’s disease. A significant problem with chronic sunlight deprivation is a lack of vitamin D. Vitamin D is a fat soluble vitamin that plays an important role promoting the absorption of calcium in the gastrointestinal system and maintaining normal calcium and phosphate levels in the body. Bone growth and remodeling depends on vitamin D. Without it, bones can become thin, brittle, or misshapen. In addition, vitamin D plays a role in cell growth, neuromuscular and immune function, and reduction of inflammation. This vital nutrient is naturally present in very few foods. Though not available, of course, in the 17th century, vitamin D enriched foods and dietary supplements help to meet this need now. Foods naturally containing vitamin D include mushrooms, alfalfa, lichen, fish liver oils, fatty fish species, cooked egg yolk, and beef liver. In the Highlands, in the lean years following Culloden, it was unlikely many would have had access to beef. While we do know that Jamie hunted deer, it seems that venison liver is not the good source of vitamin D that beef liver is. Eggs were likely a rare luxury on his monthly visits to Lallybroch, if at all. Not located in close proximity to the coast, it is doubtful he would have had any regular access to fatty fish while living in the cave. Scavenging for mushrooms and lichen were likely available to him, though only when in season. Jamie’s diet definitely would not have met all of his vitamin D needs. While even a modern diet with vitamin D enriched foods does not meet the typical daily requirement of vitamin D, exposure to sunlight makes up the difference. Exposure to UVB rays from sunlight is a significant source of vitamin D. Vitamin D is produced in the skin when UVB rays from sunlight strike bare skin. Unfortunately, Jamie likely had very little exposure to the sun during his years as the Dunbonnet, only leaving the cave under the protection of night. Even if he had a few minutes of direct sun exposure at midday regularly, this still wouldn’t have met his vitamin D need year round. At latitudes north of 40°, as is the Highland region, sunlight is not strong enough to trigger the synthesis of vitamin D in the skin from October to March. With his limited diet and limited sun exposure, Jamie no doubt suffered from vitamin D deficiency. Interestingly, birds and fur-bearing mammals also require vitamin D but clearly cannot absorb it through their feathered and fur covered skin. They have adapted such that vitamin D is generated from the oily secretions of their skin and then deposited onto the feathers and fur and obtained orally during grooming. What effect would inadequate vitamin D have had for The Dunbonnet? Vitamin D deficiency classically causes skeletal problems. With severe deficiency, children can develop rickets, a disease in which bone fails to properly mineralize, causing softening of the bones and skeletal deformities. In adults, vitamin D deficiency can lead to osteomalacia, in which inadequate mineralization of the bone leads to bone and joint pain, muscle weakness particularly in those used to stand up from a seated position or walk up the stairs, and easy fracturing of bones, even from simple weight bearing. Vitamin D deficiency puts adults at risk for osteoporosis, a condition of decreased bone mass leading to bone fragility and significantly increased risk of fractures. Adequate levels of vitamin D can reduce the risk of developing a number of cancers as well as multiple sclerosis and rheumatoid arthritis. With seven years of low vitamin D levels due to inadequate diet and rare exposure to sunlight, Jamie likely suffered from some degree of thinning of the bones. Even today with vitamin enriched foods and supplements, vitamin D deficiency is widespread. In the US, 41% of people have insufficient vitamin D. Rates in South America and Europe are no better. Are you consuming the recommended about of vitamin D on a regular basis? Just as Claire insists that the Highlanders eat their greens to avoid scurvy, no doubt she wouldn’t hesitate to line them all up and dose each with a spoonful of cod liver oil to keep their vitamin D levels up! Stay tuned for more about scurvy! Questions? Comments? Thoughts? Connect with Outlander Medicine on Facebook or Twitter! Join A Dram of Outlander’s twitter chat Wednesday nights at 6pm PT/9pm ET to discuss the previous weeks chapters using the hashtag #ADoO! See you there!